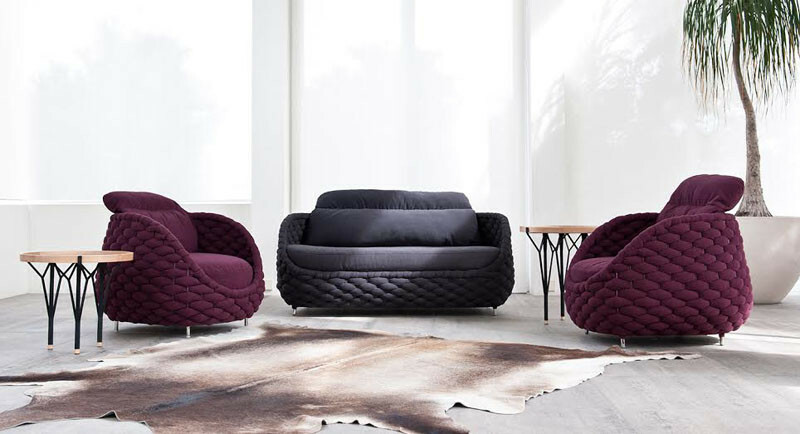 Often we associate knitted things with our grandparent’s homes filled with antique furniture, but there are people out there creating awesome modern knitted items that are perfect for any contemporary home. 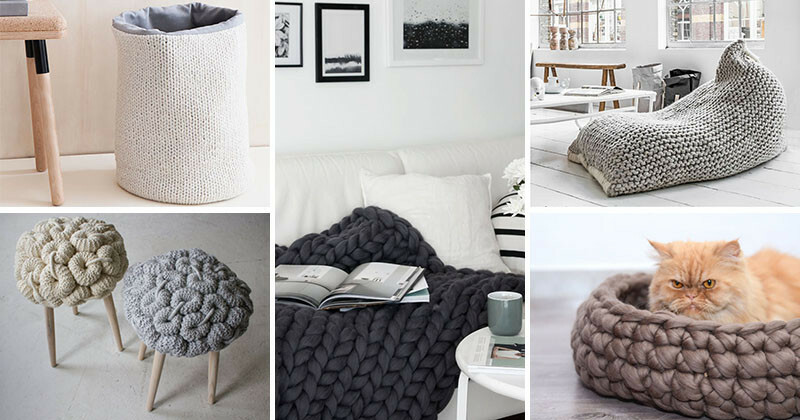 Here are 17 ideas for adding knitted items to your decor. 1. Instead of a typical upholstered sofa or armchair, why not have a knitted version instead? 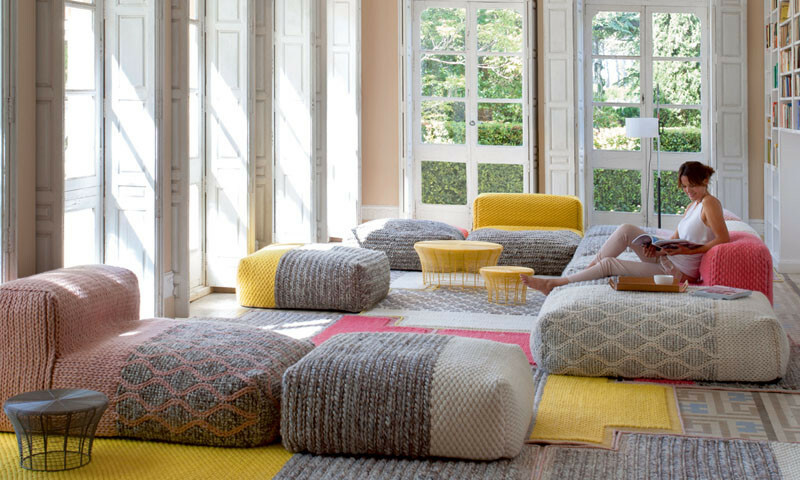 The Mangas Space Collection by Patricia Urquiola for GAN. 2. 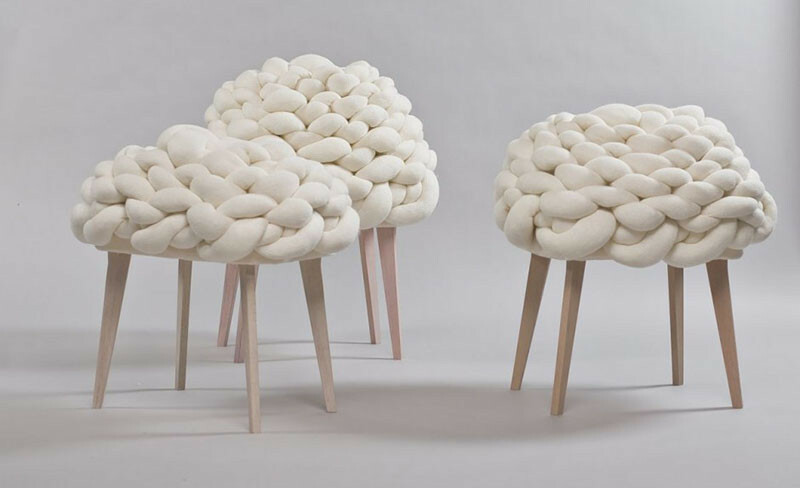 Add some occasional seating like these cloud-like knitted stools. 3. 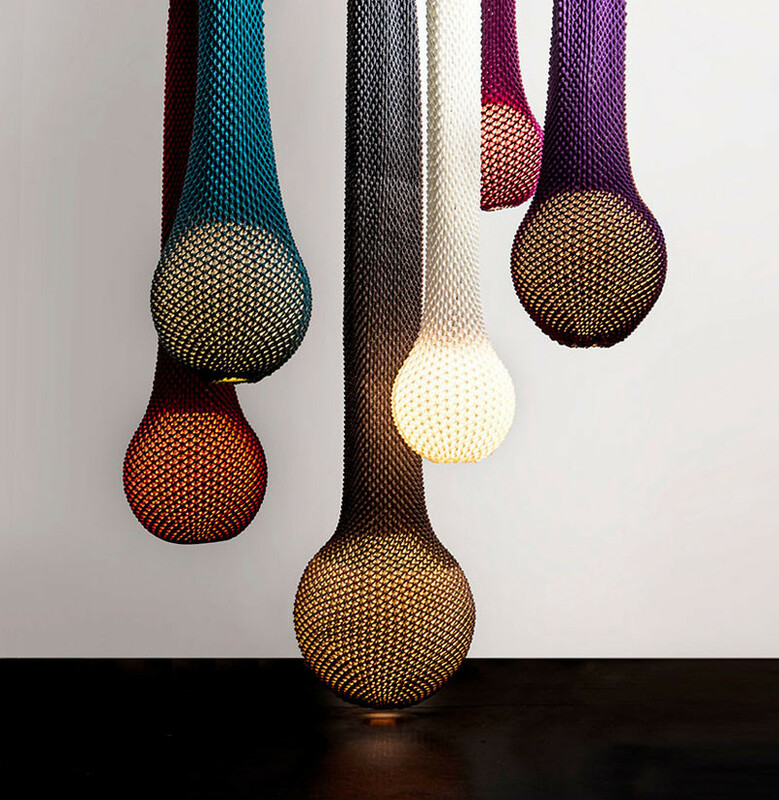 Hang some sculptural knitted lighting in the corner of your room to light it up. 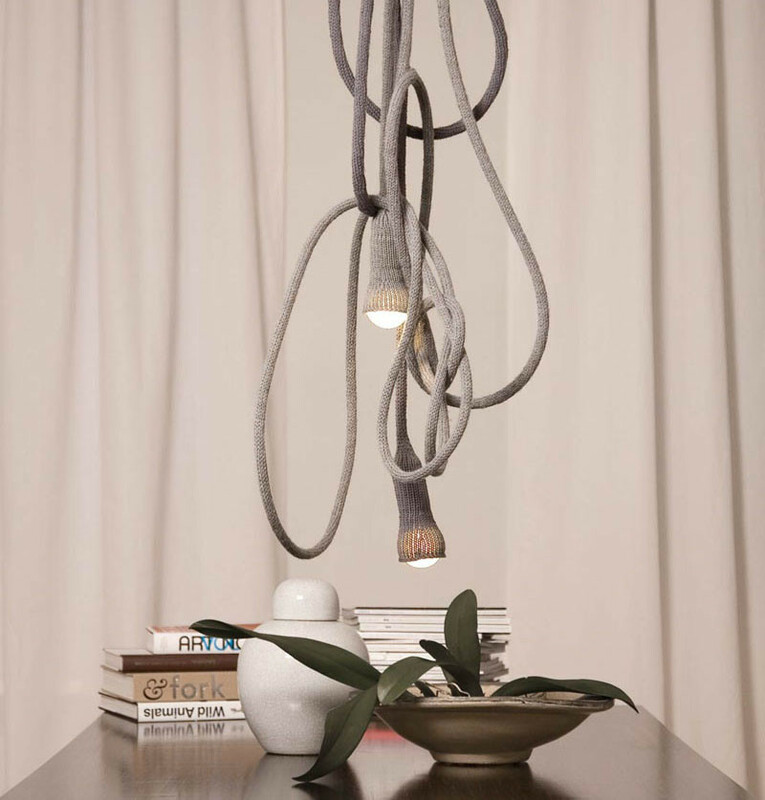 Knitted hanging light by Ariel Zuckerman. 4. 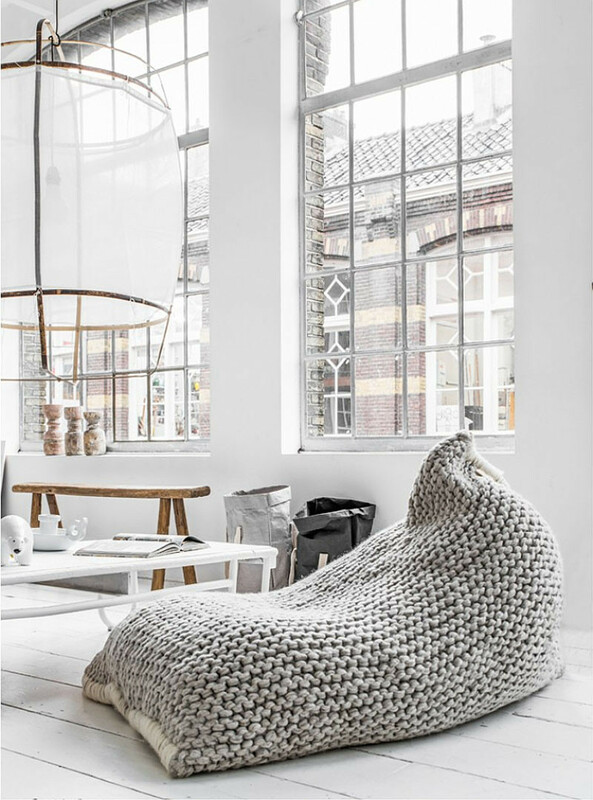 Include a cozy contemporary version of a knitted bean bag chair. 5. Wrap your hard ceramic or plastic planters in a knitted cozy. 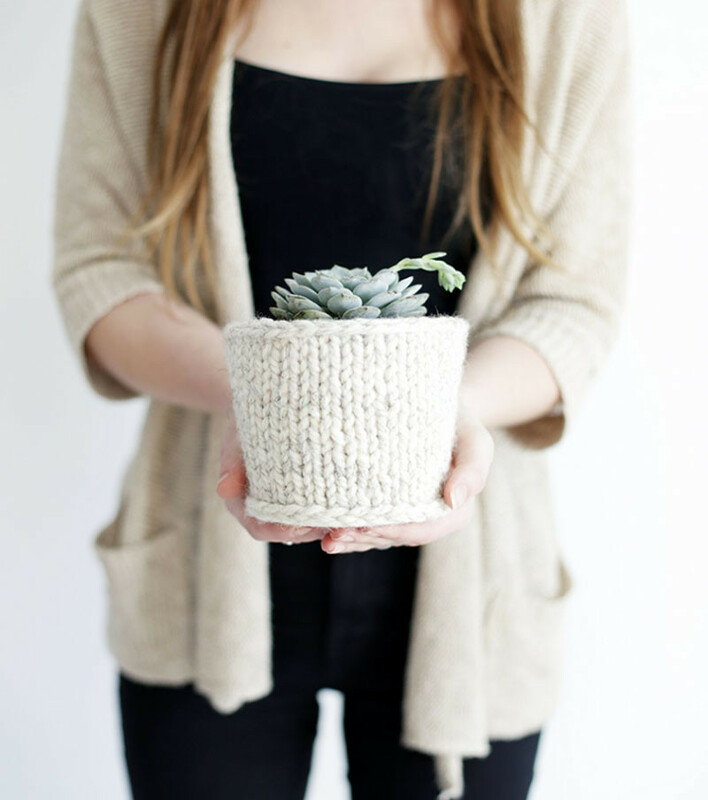 Knit Planter DIY by the Merrythought. 6. 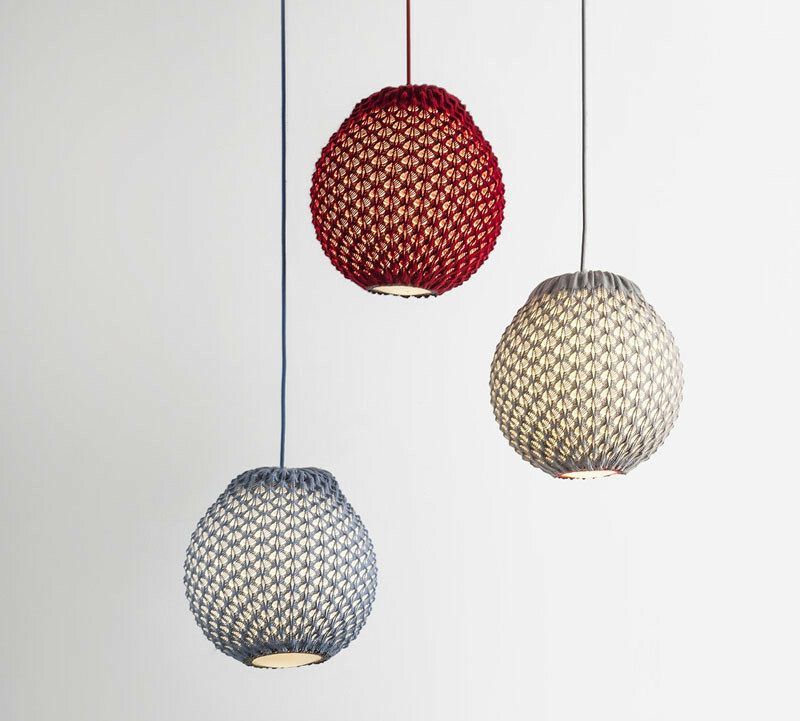 Add a knitted pendant light above your dining room table or work desk. Knit Pendent lights by llot llov. 7. This idea isn’t exactly knitting, but it does use yarn to create a unique wall hanging art piece. 8. Soften a hard bench by adding a knitted sleeve that wraps around it. 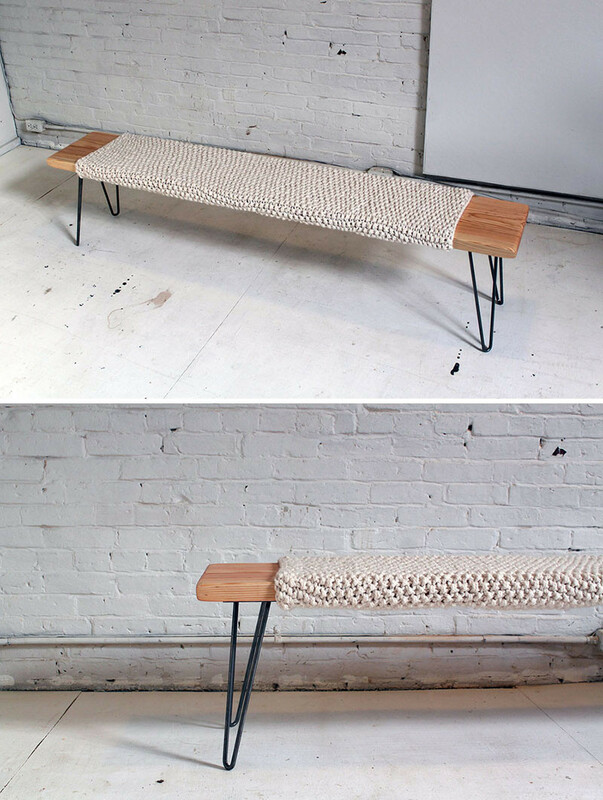 DIY Knit Bench Cozy from Brit & co.
9. Add a playful touch to your decor with a knitted swing. 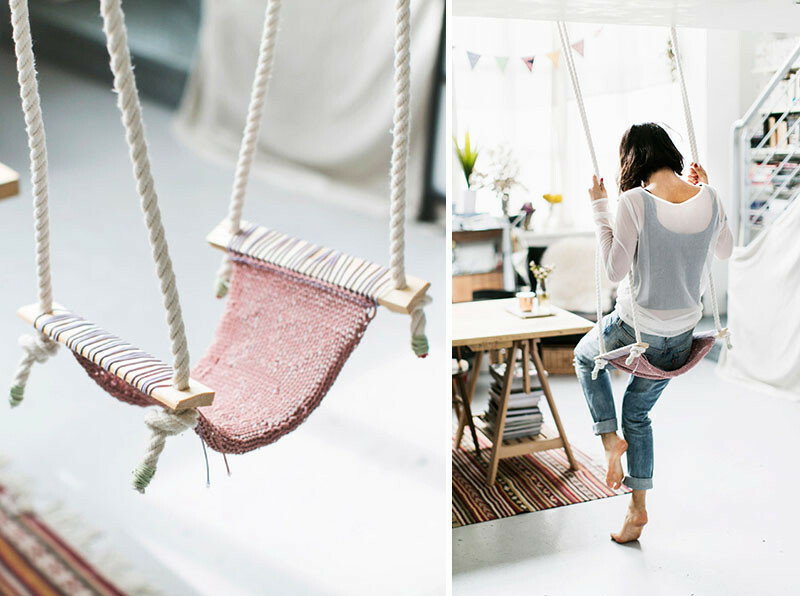 DIY Knit Swing by Park & Cube. 10. 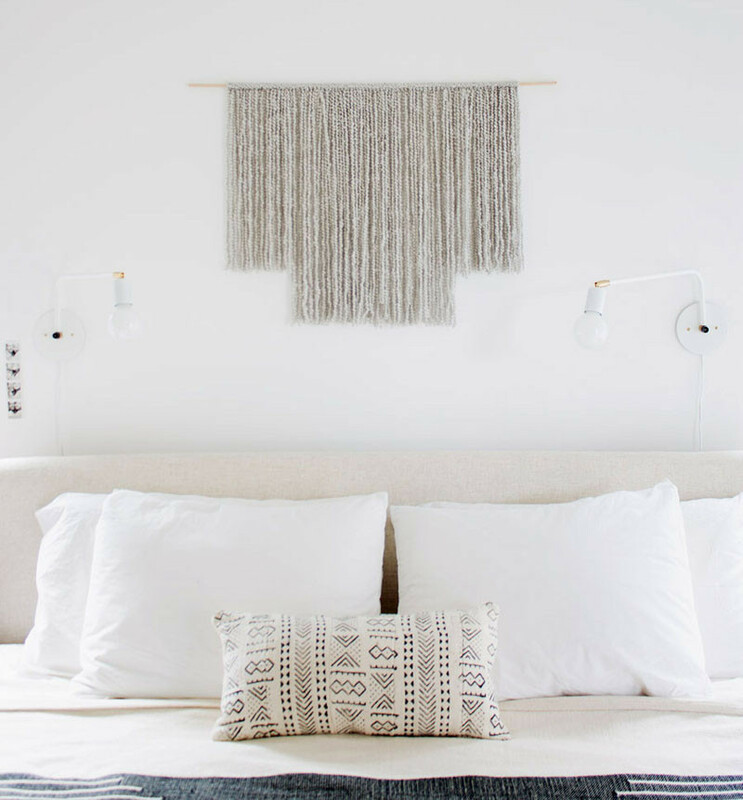 Instead of a bedside table lamp, you can add a hanging knitted pendant lamp. 11. 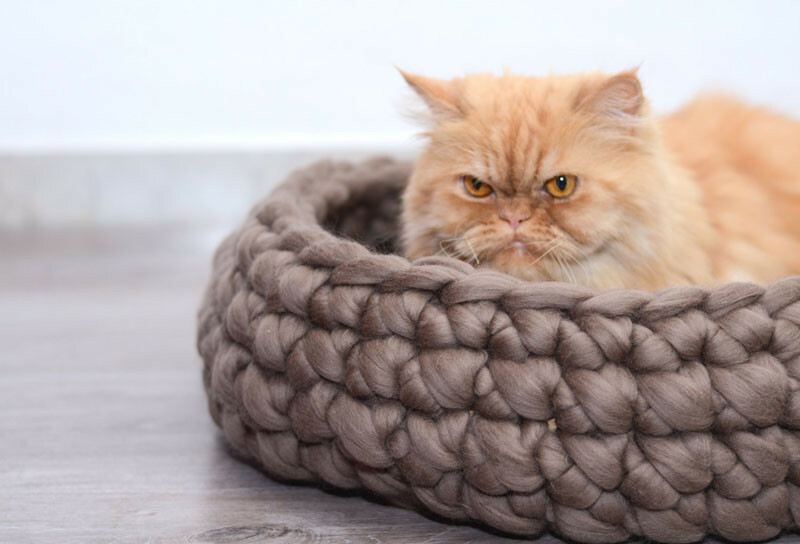 Don’t forget your pets might want something comfy to relax in, like this knitted cat bed. 12. 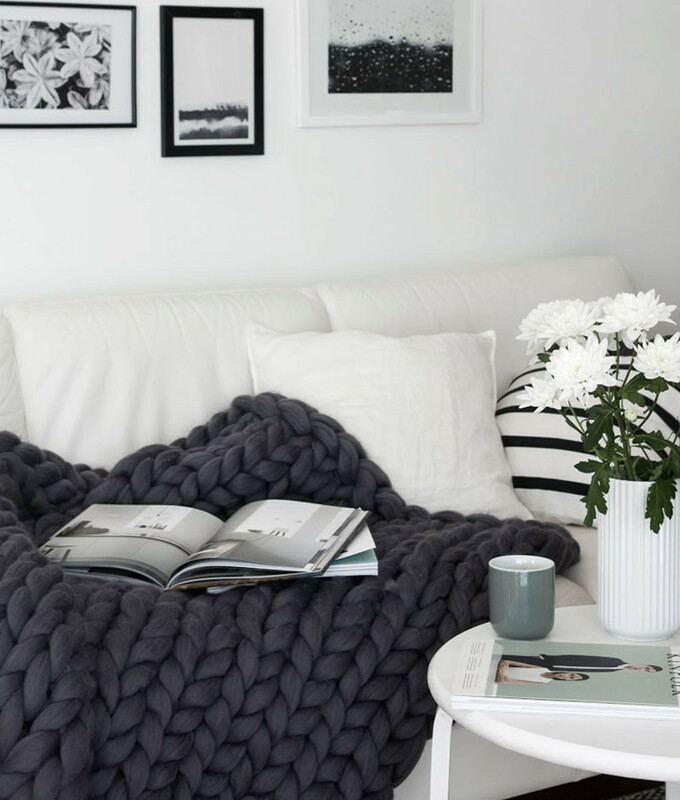 And for us humans, a chunky knitted throw blanket is the perfect addition to that spot you have to read a book and have a cup of tea. Chunky Knit Blanket by Ohhio. 13. If you find your seats a bit hard, soften them up with a knitted seat pad. DIY Knit Seat Pad by Lebenslustiger. 14. 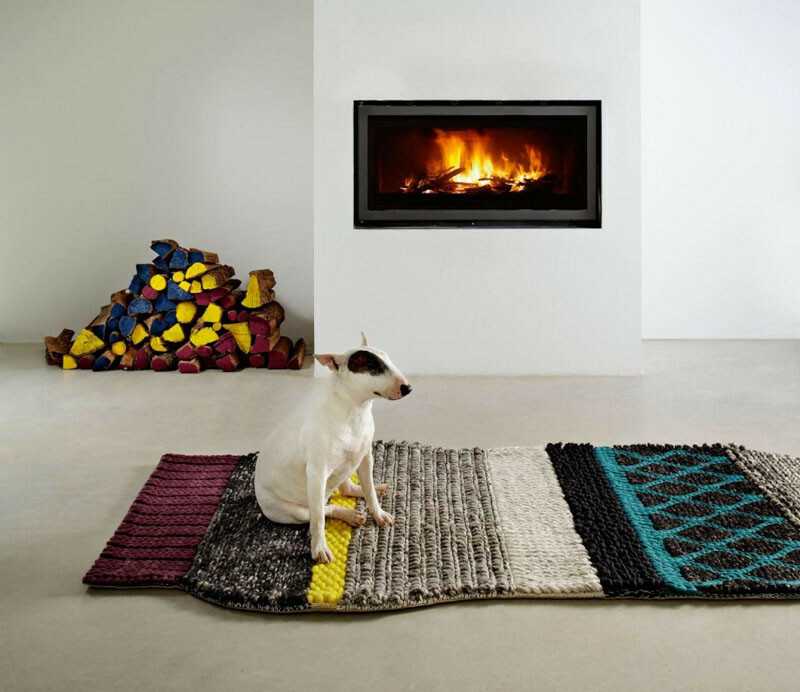 You can warm up your wood or concrete floors with a knitted rug. 15. Add some knitted stools to your entryway for when you need to sit down to take off your shoes. 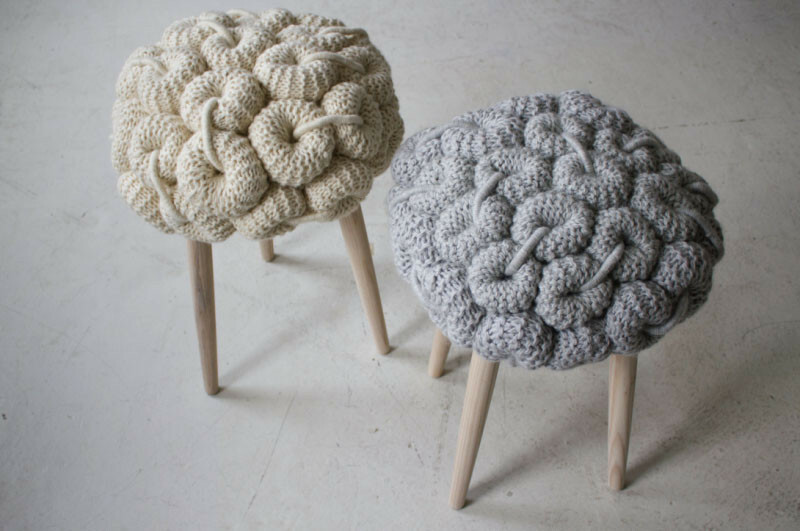 Knitted Stools by Claire-Anne O’Brien. 16. Add some knitted storage baskets to your decor for holding magazines or children’s toys. 17. 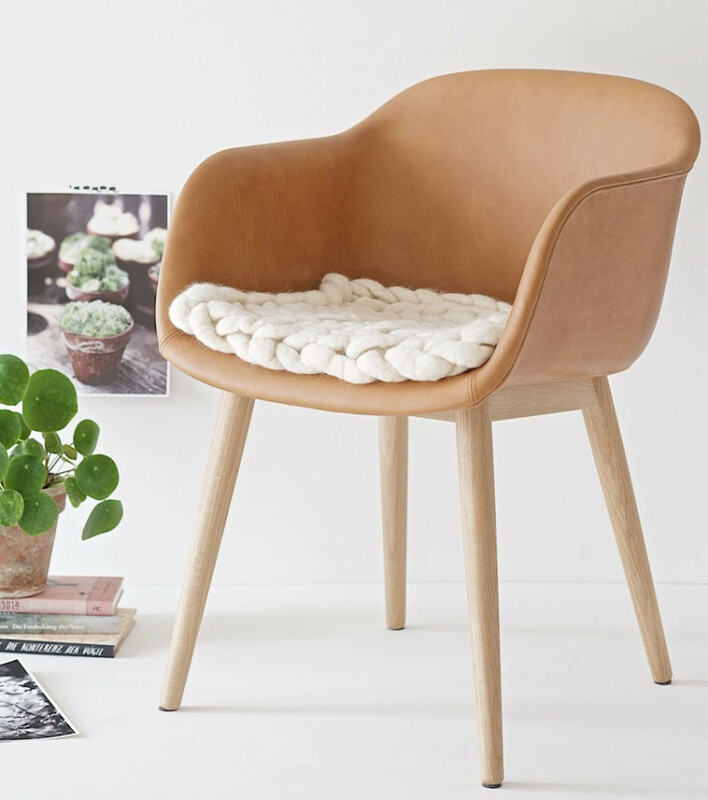 Fully commit to your obsession with knitted things by including a knitted armchair and sofa.